Here are a bunch of great photos of readers clearance finds and shopping trips. Enjoy your weekend everyone! 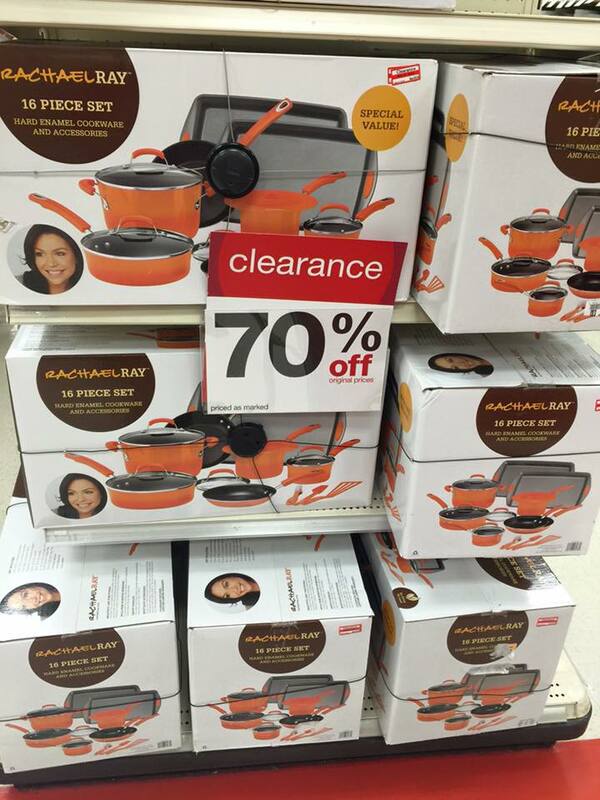 Nicky found an end cap filled with Rachael Ray cookware down to 70% off. 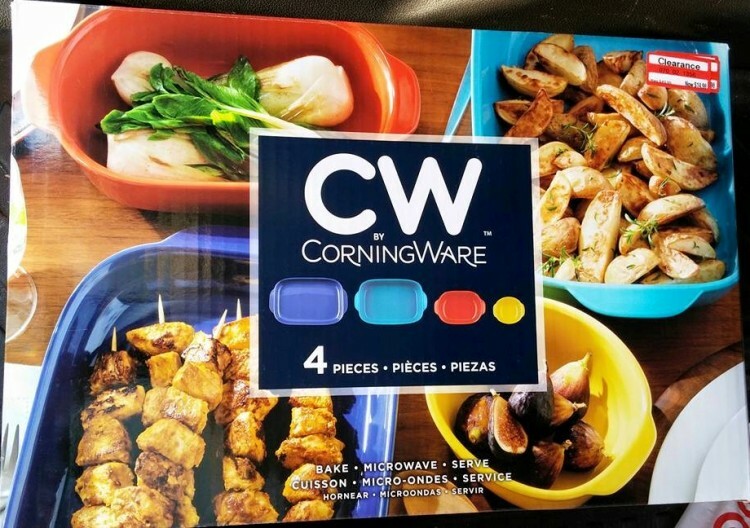 Amanda was thrilled to score this Corningware set, it was priced at just $14.98 (70% off). 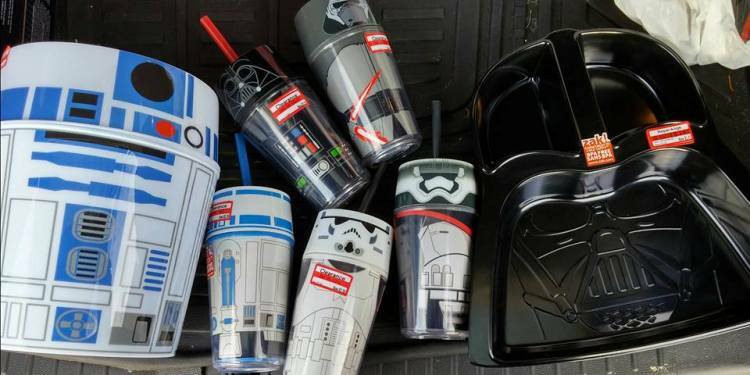 Amanda picked all of these cool Star Wars items for 70% off, prices ranged from $2.48-$2.98. 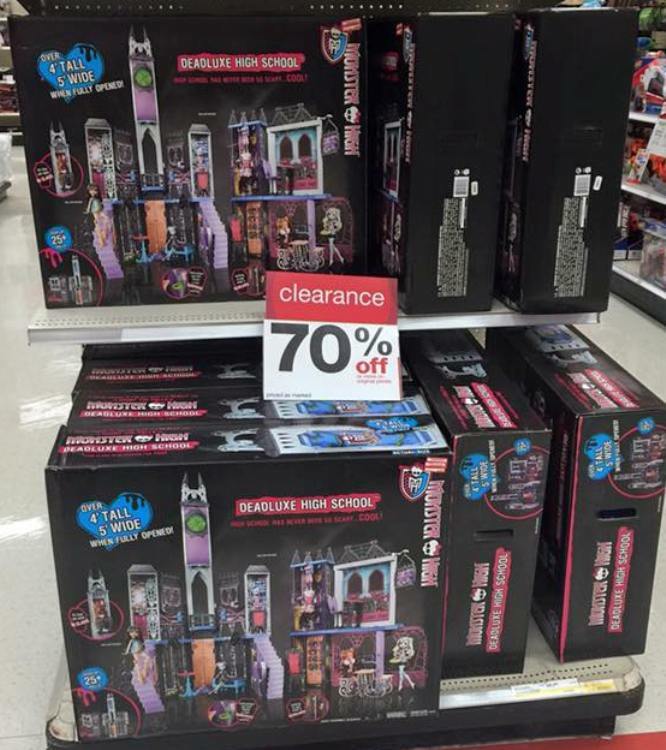 Another super 70% off find Nicky spotted was the Monster High Deadlux High School playset. My girls got this for Christmas and they love it! 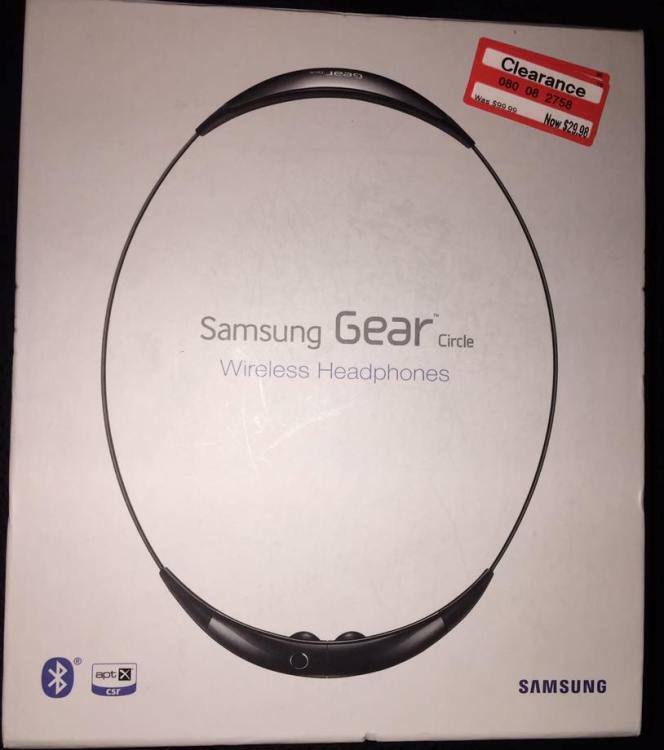 This Samsung Wireless headset was 70% off at Nikki’s store. 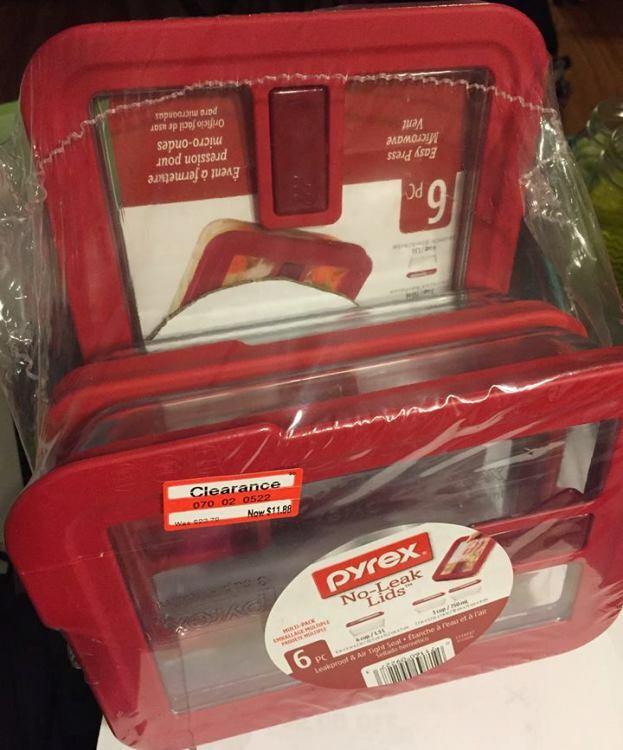 Priscilla grabbed this Pyrex 6 piece set for only $11.88 (reg $23.79), that’s 50% off. 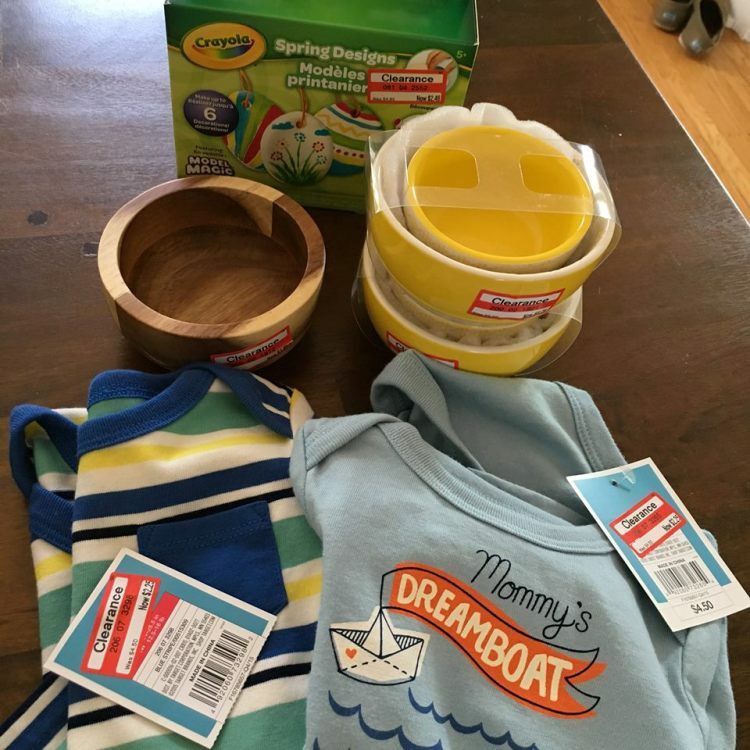 Here are the clearance items Pam brought home, Crayola art kit, bowls and a couple of onesies. 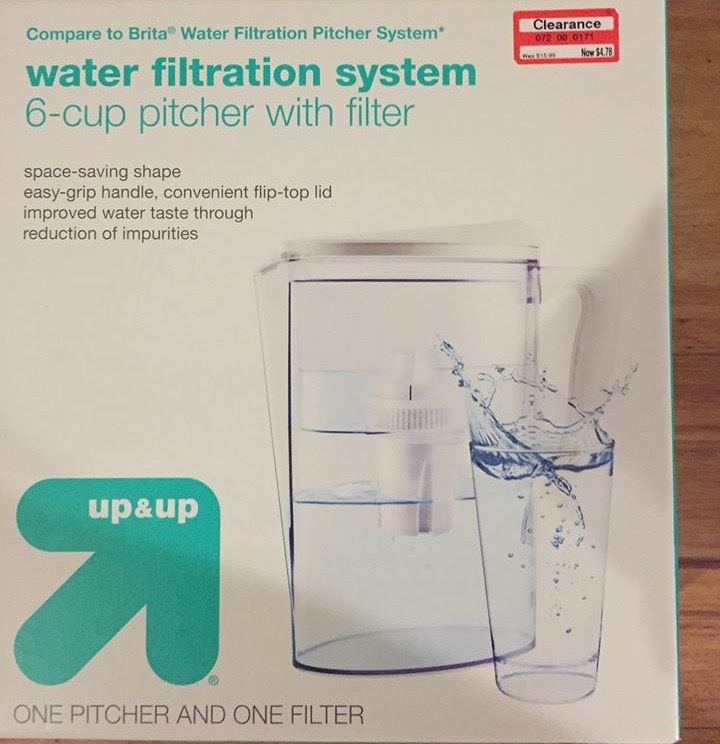 Pricsilla bought this Water Filtration System that was $15.99, for only $4.78.